Picturesque Pithoragarh town is delight for mountaineers, trekkers, adventure seekers, botanists, pilgrims as well as sightseers. It is an important halt on the famous Kailash Mansarovar Yatra route. 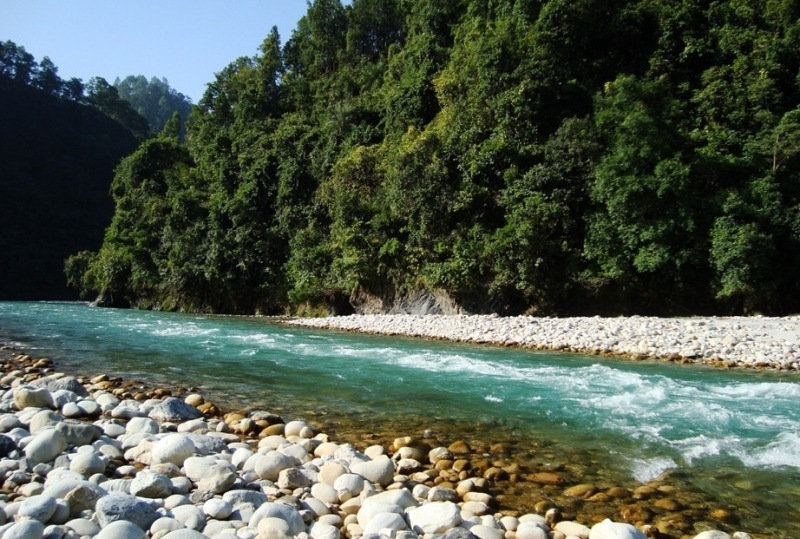 The rivers originating from the Pithoragarh mountains are perfect for water sports, while the lush jungles here teem with rich variety of flora and fauna. This eastern most district of Uttaranchal popularly called as ‘Miniature Kashmir’, shares international boundary with China (Tibet) on the north and Nepal on the east. The northern parts are studded with majestic peaks like Nanda Devi (east), Nanda Devi (west), Trishul, Nandakot, Rajrambha, Panchachuli group etc. The alpine meadows and glaciers below these majestic mountains has made the district a virtual paradise for nature lovers. 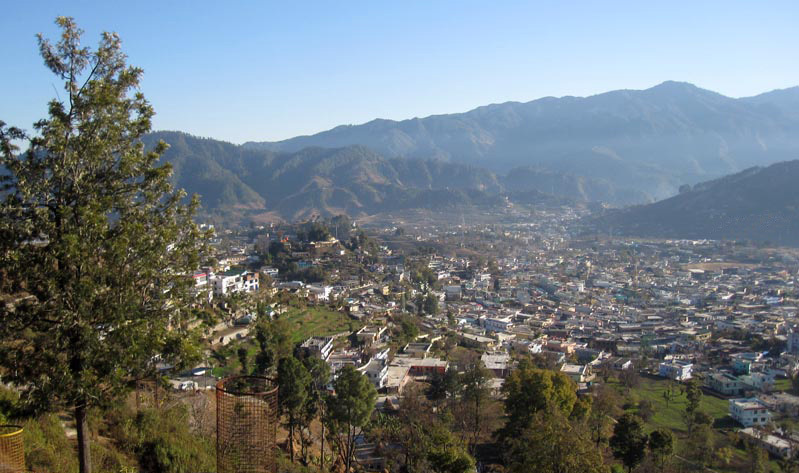 Pithoragarh town, being in the valley, is relatively warm during summer and cool during winters. During the coldest months of December – January, the tropical and temperate mountain ridges and high locations receive snowfall and has an average monthly temperature ranging between 5.5 °C and 8 °C. Pithoragarh district have extreme variation in temperature due to much altitude gradient. The temperature starts rising from mid March until mid June. The areas situated above 3,500 m remain in a permanent snow cover. Regions lying between 3,000 to 3,500 m become snow bound for four to six months. There are extreme points present at the different places like the river gorges at Dharchula, Jhulaghat, Ghat and Sera, where sometimes temperatures rise up to 40 °C. The annual average rainfall is 36.7 cm. After June the district receives Monsoon showers. Winter set for transhumance – seasonal migration among the Bhotiya tribe with their herds of livestocks to lower warmer areas. Pithoragarh is about 155 km. from Soulitude in the Himalayas and it takes around 3 hour 45 minutes to reach there.